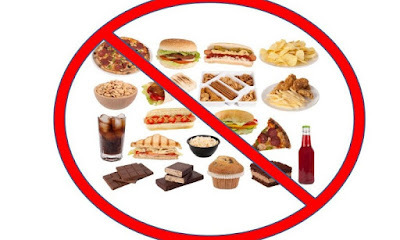 Lots of experts say it's stupid to forbid yourself from eating certain foods – that denying yourself something you really want to eat can ultimately lead to binge eating and eventual weight gain. So dessert isn't on this list — it's OK to indulge sometimes! But some foods really do deserve the axe — especially if you are trying to lose weight. In which case, avoid these foods (when you can!) to fend off cravings and hunger, and support your efforts to slim down. Yes, everyone needs fiber — it keeps your digestive system churning and keeps you feeling full, even when you're cutting back on calories. What you don't need: Nearly one day's worth of fiber (about 25 grams) in one snack bar, with a diet that's otherwise devoid of it, Harvest says. "Fiber intake has to be consistent throughout the day to stave off hunger, improve digestive health, and not cause stomach upset." So ditch the bars, and try to include some kind of naturally fiber-rich produce — any fruit or veggie will do— in every snack and meal. All flavored yogurts are high in sugar from the artificial flavoring. Instead of a cup of strawberry yogurt, opt for plain Greek yogurt; it’s low in sugar and contains healthy proteins to fill you up. Even just a half cup of granola with one cup of skim milk has 360 calories! That’s because even though granola is advertised as healthy, most of it is just sugar and fat. If it’s 10 a.m. and you need a second breakfast before lunch, that’s perfectly fine. Substitute the granola cereal for one cup of instant oats for a more nutritional and satisfying meal. It takes several oranges to make one 6-ounce glass of OJ, but when you drink juice, you consume all the calories from those oranges without the natural fruit fibers that fill you up.